Morning sessions include practical introduction to different dance and music forms in baroque: chaconne, passacaille, bourrée, minuet, gavotte. Afternoon sessions will be devoted to the choreography for the “Gigue à deux”, a couple dance by Feuillet from “Recueil de danses”, 1700 accompanied by the beautiful music by Lully from his opera Roland. Karin Modigh received her initial training at the University of Dance in Stockholm, Sweden, following the training in baroque dance in France under the tutelage of, among others, Marie-Geneviève Massé and Françoise Denieau. Since then, she has actively pursued an international career as a baroque and renaissance dancer, and has worked in France, Germany, Belgium, The Netherlands, Sweden, Denmark, Russia, Turkey and the USA. She is the founder and artistic director of Nordic Baroque Dancers, and a member of French Compagnie l’Eventail, Boston Early Music Festival Dance Ensemble and Belgian Corpo Barocco, with which she has performed around the globe including the Opéra Royal de Versailles, the Cutler Majestic Theatre in Boston, the Drottningholm Court Theatre in Stockholm etc. In 2012, Karin received the Swedish Early Music Award in recognition of her efforts to promote baroque dance in Sweden. 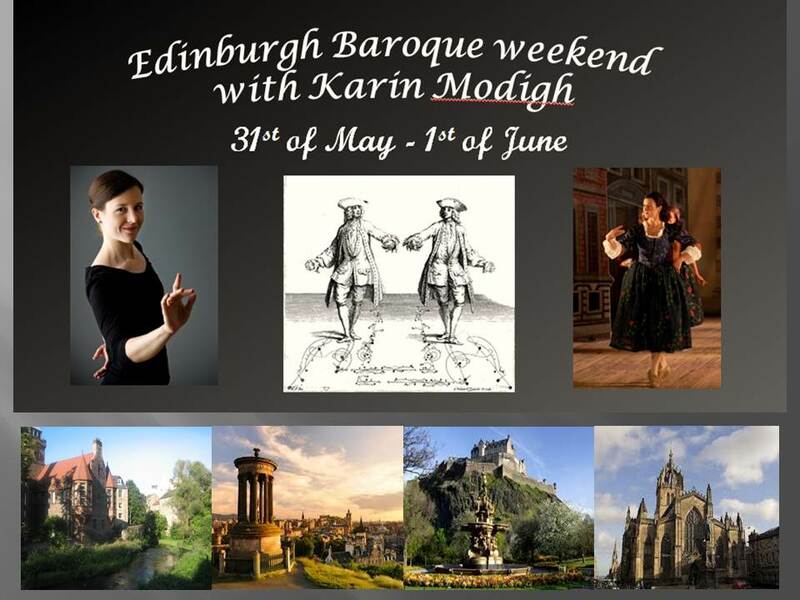 The workshop is suitable for a wide audience and may be especially interesting for musicians playing baroque music and dancers who would like to learn more about historical dance or for people generally interested in baroque art and dancing.